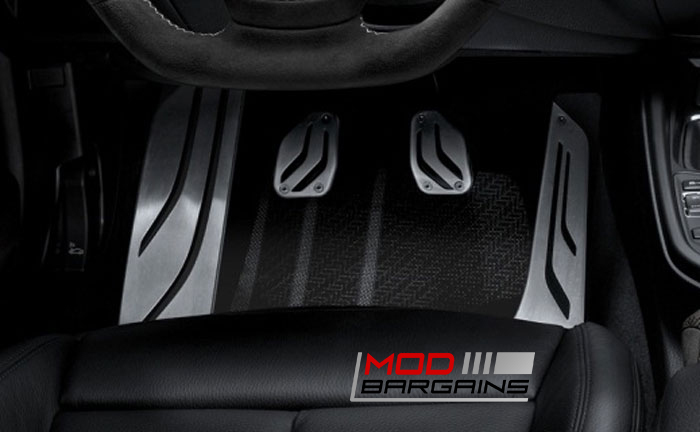 Motorsport look: With these stainless steel pedals you will create a motorsport atmosphere inside your M2. Style: Add some more style to the interior of your M2 with some stainless steel that perfectly compliments the interior of your M2. OEM: By getting OEM M Performance pedal covers, you wont have to worry about any quality defects or fitting issues. Get rid of those boring OEM rubber pedals, and upgrade with stainless steel pedal covers. BMW M Performance are NOT aftermarket. These are OEM, so you know you wont have to worry about any quality defects or fitment issues. 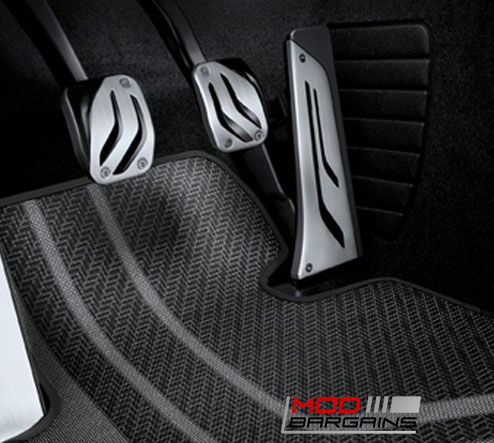 BMW M Performance stainless steel pedal covers will greatly enhance the look of your M2's interior by giving you a motorsport atmosphere, while perfectly complimenting the interior of your M2. These are made out of 100% stainless steel and incorporate rubber inserts to improve grip.